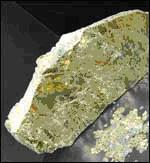 Vermiculite is a member of the phyllosilicate group of minerals, resembling mica in appearance. It is found in various parts of the world, but the details given here relate to the deposits mined in the Palabora region of the Limpopo Province. Palabora vermiculite is a hydrated phlogopite mica which has the remarkable ability to expand to many times its original volume when heated, a property known as exfoliation. Being non-combustible and insoluble in water or organic solvents, vermiculite is safe and easy to handle, making it suitable for a wide range of different applications. The bulk density, size and aspect ratio of exfoliated vermiculite can be varied to suit particular end uses. Due to its inherent stability, vermiculite is being used increasingly in applications where health and safety are of prime importance. Crude vermiculite from the Palabora mine consists of golden/brown flakes which are carefully classified into five grades - each having a specified range of particle sizes. The coarsest grade comprises particles ranging between 8mm and 2.8mm, while the finest grade consists of particles between 0.710mm and 0.250mm in size. The loose bulk density of crude vermiculite varies with the grade, but is typically between 700 and 1050 kg/m3. The exfoliation process is carried out commercially by passing crude vermiculite through a furnace chamber in a controlled manner. The crude vermiculite then expands at right angles to the cleavage planes, producing concertina-shaped particles many times their original volume. Exfoliated vermiculite can be obtained from commercial exfoliators. If large quantities are required, the equipment needed to exfoliate vermiculite can be obtained from furnace manufacturers; details can be supplied by Palabora Mining Company.